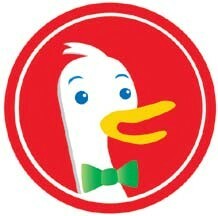 I was just reminded of a new search engine called DuckDuckGo. Apparently it’s rapidly gaining in popularity after some of Google’s recent privacy controversies. The makers of DuckDuckGo have paid heed to Google’s struggles and go to great length to ensure the privacy of your searches. Now, DuckDuckGo is not necessarily a replacement for Google or Bing. In fact, if it does not find what you’re looking for, it gives you links to both Google and Bing. But beyond that, it has certain features that make it a nice addition to those engines. DuckDuckGo specializes in quick answers, called “zero-click info,” data that is presented to you on the top of the page. For example, enter “age of Besse Cooper” to receive this supercentenarian’s shocking exact age to the day. Or enter “weight of egg” and get the average weight of an egg. The 4th edition of the (English) Microsoft Manual of Style was published a few weeks ago. The many non-English versions of Microsoft style guides are available for free on the web. But it is indeed worth a mention because a whole chapter (Content for a Worldwide Audience) is dedicated to writing for translation- and localization-related purposes. Some of that content is on the Microsoft blog, including the interesting guidelines for writing for machine translation, but there’s plenty of other stuff in the chapter that you can find only in the actual book. Still, is this helpful for folks like us who “only” translate? I think it is, if you look for relationships with clients that go beyond just receiving and returning jobs. One part of our work as translators has to be that of a consultant, especially when working with small and midsize companies who have not been exposed to translation questions. This kind of consulting is not only profitable but obviously very helpful in our later translation work. Being able to present clients with well-written and well-researched materials like those in the Microsoft style manual has to be an asset that speaks in our favor. Last month I mentioned that I would look at the new version of Translation Office 3000. And so I did. TO3000 has been one of those products that I’ve been rather unabashedly bragging about as one of the tools that I use for myself and really like. It’s a software program that allows freelance translators to do many of the menial tasks that we need to do, including bidding for projects, tracking projects, invoicing, and managing payments. The program, developed by AIT, uses a database for your clients’ information, your pricing, your payment methods, etc., and it also allows you to run reports on individual clients, projects, or time periods. TO3000 includes a sophisticated word-counting tool (that counts words in files as you invoice or bid for them) and a tool that allows you to enter and process weighted rates for TEnT-processed data. OK, so now on to the new version. This version allows you to choose between two different workflows: one allows you to do everything on the basis of projects (actual billable tasks have to be added); the other allows you to forego that step and just work on the task level. Three versions ago, the latter workflow was the default way and many — including me — have never really appreciated the more cumbersome project-based workflow. There are now differently priced versions that essentially differ in the number of clients you can enter, the number of file formats that are supported for automatic word counts, and some customizability. You can find the differentiations along with the prices of the different versions listed here. Now, if you outsource jobs regularly or even once in a while, this tool is not for you. But if you work on your own and just need to take care of your own billing and tracking processes, it’s a fabulous tool. mimi posted this article under Business Tools	on Tuesday, May 1st, 2012 at 12:02 pm	You can follow any responses to this entry through the RSS 2.0 feed. Both comments and pings are currently closed.